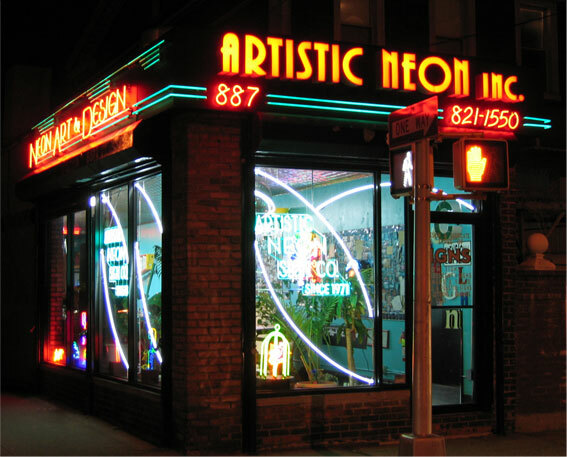 With 67 years experience and 48 years as a neon business, "ARTISTIC NEON INC." is still around bending precision neon artworks and signage by Gasper and his son Robbie. In his field, Gasper is recognized as the "Renaissance Man" of Neon. In the 1970's Gasper was ahead of his time; creating numerous works of functional neon art for the home and business with cutting edge techniques. Gasper was conceptualizing many fantastic designs in neon at a time in history when people knew nothing of neon art. Some of his creations included, 3-dimensional neon sculptures, custom neon furniture, lighting and specialty signs. Gasper woke people up to the endless possibilities of neon art. Neon, it seemed, was coming out of the dark ages thanks in part to Gasper's ideas and talents.